A case has been registered against 24 people for allegedly evicting students and teachers of a government primary school in Uttar Pradesh to keep stray cows, officials said Thursday. It has been alleged that villagers in Kudana brought the cows inside the school on Wednesday and closed it, Shamli District Magistrate Akhilesh Kumar said. 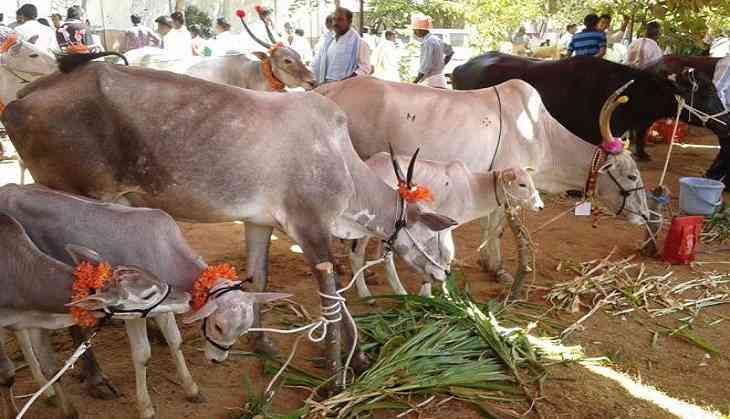 In December, Uttar Pradesh Chief Minister Yogi Adityanath had directed officials to make immediate arrangements for proper care of stray cows within a week. In a complaint, the education department has said students and teachers were told to vacate the school by villagers who herded stray cows inside the institute's campus, the district magistrate said. Classes were conducted outside the school after the villagers forced their way inside the school along with stray cows, a teacher said, requesting anonymity. Police have registered an FIR against 24 people, of whom four people -- Pawanvir, Omperkash, Rohtash and Brijlal -- have been named, Kumar told reporters Thursday. The villagers disrupted school work. Police are searching them, he said. Superintendent of Police, Shamli, Ajay Kumar Pandey said strict action will be taken against the those who disrupted school work by confining stray cows inside the institute. Farmers in the state are faced with the problem of stray cows damaging their crops They have been demanded a solution to the problem. Why did Raai Laxmi replace Catherine Tresa in Chiranjeevi's Khaidi No 150?